How to Do Canon Camera Firmware Update - Before updating the firmware on Canon camera, here is explained what it is. Firmware is functioned as software in a camera. It means that it handles the operating system. It makes sense if the producers must add some features and fix the errors that make the firmware is needed to update. How is the result anyway? Is there any significant difference? Sometimes, it is yes but sometimes, there is no change at all. However, it is not bad try. More than that, the updates are commonly available for free. Here are the steps to update the firmware of Canon camera. First of all, you must check whether there is already update available or not. Therefore, you must go to the official website of Canon. Make sure that the updates provided are compatible for your camera. For this matter, you can submit the series of Canon camera as the keyword. After searching for it, there are many links available. Choose one of them which are for your camera and download it. You may download the update through computer. It means that the installation cannot be done directly from your camera. You must take out the memory card and then connect it to your computer. Then, you can extract the file that has been downloaded and copy-paste it to the memory card. Until this step, you can bring back the memory card into camera. Change the camera mode into <P> mode, turn on the camera, go to Setting menu, and choose Firmware. Next, wait for the loading and then click OK to do the updating process. After the process is over, restart the camera and check whether the update is successful or not. So, this is how to do the Canon Camera firmware update. 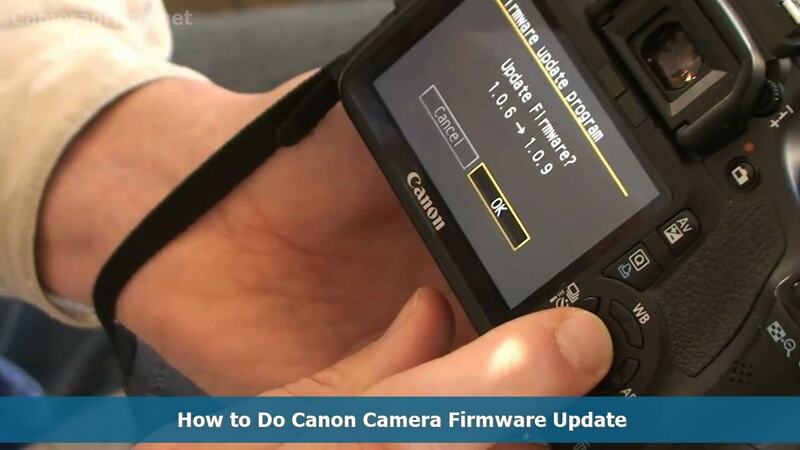 0 Response to "How to Do Canon Camera Firmware Update"